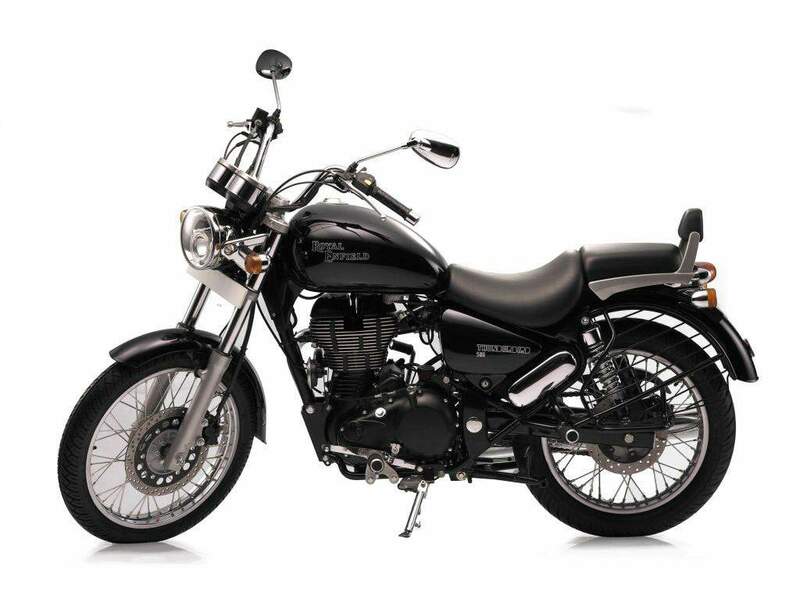 The 2012 Royal Enfield Thunderbird 500 is a larger displacement version of the 346cc Thunderbird which Royal Enfield first unveiled in 2000. The original Thunderbird 350 was Royal Enfield’s first model to use a unit construction engine. The new T-Bird 500 uses the larger 499cc UCE engine found on Royal Enfield’s Classic 500, which claims an output of 26hp and 30.5 ft-lb. The suspension uses new 41mm forks replacing the 350 version’s 35mm forks, while the swingarm uses a new oval section design. The Thunderbird 500 also swaps the 350′s rear drum brake with a disc brake. Other highlights include a new 55W projector headlight and LED tail lamp and indicators, a new twin pod instrument panel, blackened engine, bungee cord hooks (with cords included) and updated passenger seat with removable back pad. Siddhartha Lal, chief executive officer of Royal Enfield’s parent company Eicher Motors MD says the company will continue to produce the 350cc Thunderbird which accounts for 1000 units in sales per month, out of 7,000 units Royal Enfield sells each month in India. “We don’t plan to discontinue the 350cc model. The new variant is just an extension of the Thunderbird range,” Lal tells Indian daily The Hindu. 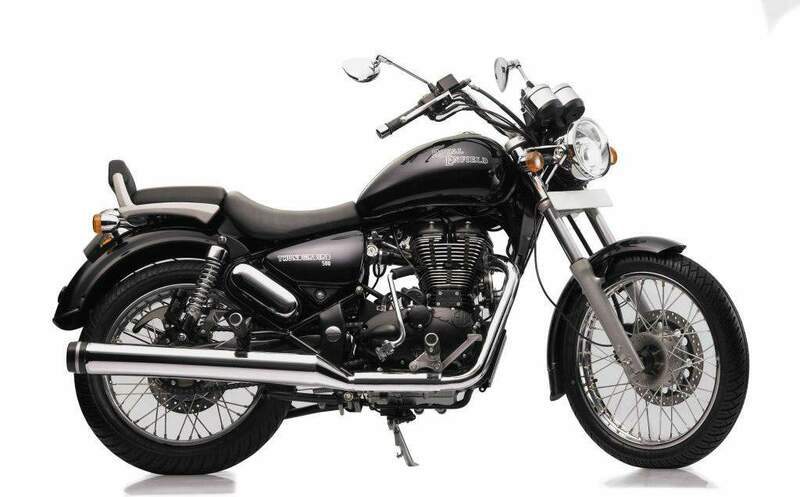 The 2012 Royal Enfield Thunderbird 500 will arrive in Indian showrooms later this year. There is no word yet on availability in other markets however.